Author Written by Abdel Razak M. and last updated on Posted on November 3, 2017 . 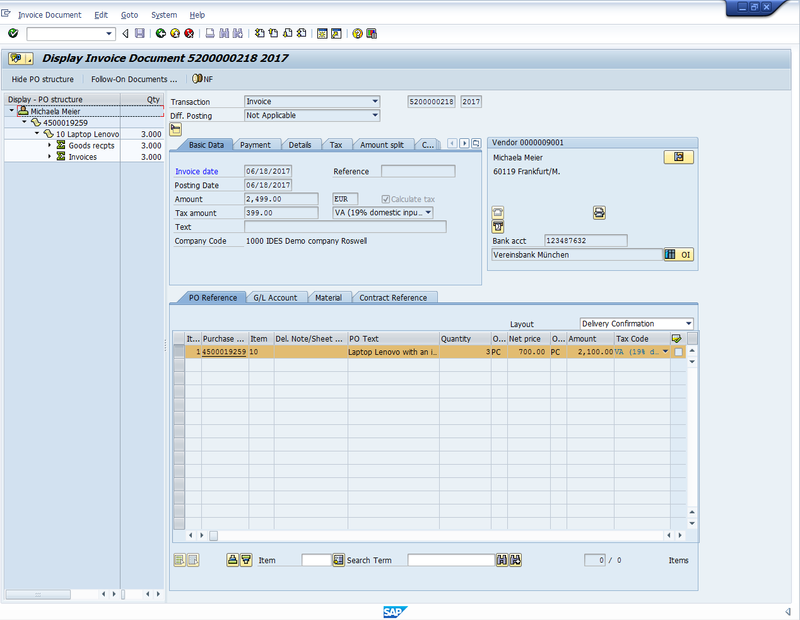 Welcome to the tutorial about SAP invoice verification. 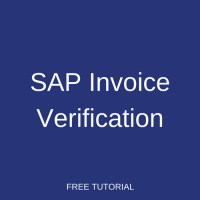 Here you will learn what is invoice verification function and how to perform this operation in SAP ERP. SAP invoice verification can be defined as a method through which a supplier will be paid for the good or the service it has provided to a customer. 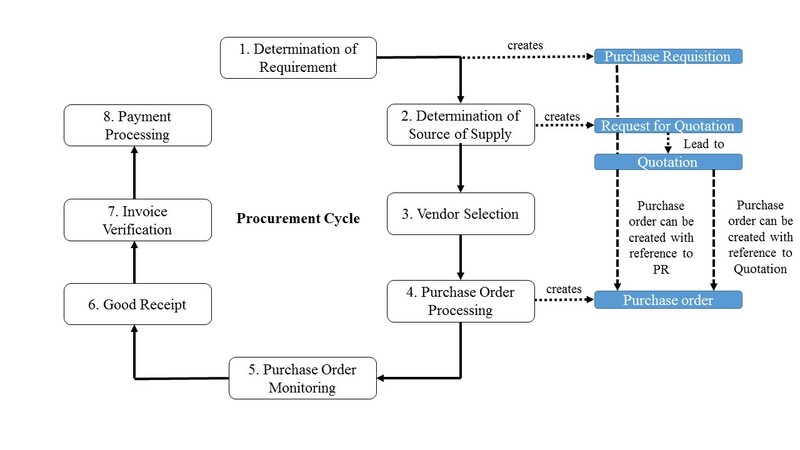 It is the seventh phase of the procurement cycle as depicted in the following figure. SAP invoice verification is of capital importance for both the supplier and the customer. It ensures that there is no error in the quantities and the pricing of the delivered goods or services. Due to this crucial factor, SAP ERP through its materials management functionality has implemented several methods to process invoice verification. Let us see what these methods entails and therefore understand what SAP invoice verification really involves. As soon as the accounts payable department received an invoice from a supplier, the invoice verification process is started. To process this invoice, SAP relies on the standard method known as the three-way match and some others among which a procedure called Evaluated Receipt Settlement (ERS). Before continuing reading this tutorial, please bear in mind that numbers that will be mentioned later in the tutorial (for example company code, purchase order number etc.) are just for illustrative purposes. Learners are most likely to have different numbers according to their SAP configuration. In this method, the purchase order provided to the supplier, the goods receipts or delivery note supplied by the supplier and the invoice sent to the customer from the supplier are compared in order to ensure that information like quantity and price matches. If successful, the payment to the vendor will be sent. However, in case of variances between these three documents, the system will issue a warning and the invoice payment might be blocked. After an invoice is entered in the system, a simulation can be performed on that invoice against the corresponding purchase order or the corresponding goods receipt in order to check for potential errors. If there are no inconsistencies, the invoice is posted. Pay attention to the information on the top right side of the screen named Balance. It will play a very important role later. At this stage of our entry, the balance light as depicted in the following screen shot is red. Below the header data section, there is a tab called PO Reference. Let us complete the required information by doing the following. 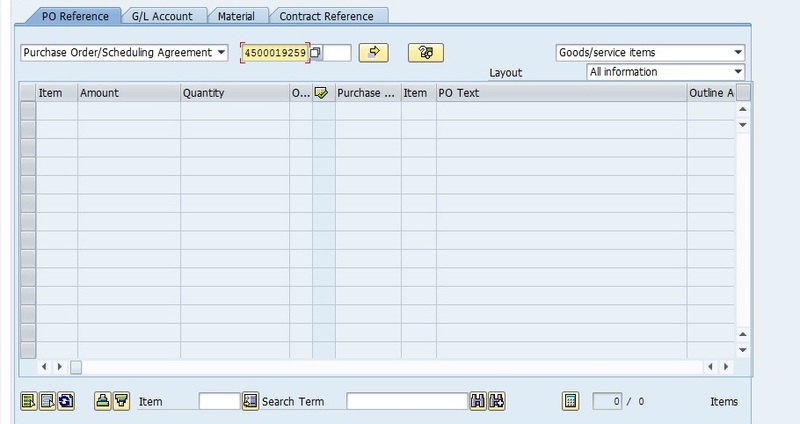 Select Purchase Order/Scheduling Agreement in the combo box. The combo box list also shows other options that can be used in other cases. Then, next to your selection, enter purchase order number 4500019259 and press Enter. 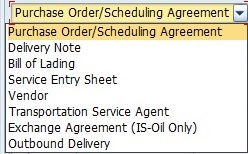 The information from the purchase order will be loaded in the table under the Purchase Order/Scheduling Agreement combo box as shown in the below screenshot with some updates highlighted with yellow color. The tax amount in the basic data tab has been updated to 399.00 EUR. The reason is that the three laptops ordered had a price of 2,100.00 EUR in total and with the domestic tax applied to this cost by the vendor, the total cost within the invoice was 2,499.00 EUR. The information about the vendor has been displayed. The balance light above has become green. The reason is that there is no price variance between the invoice sent by the supplier and the purchase order issued by the customer. It is possible to test posting of an invoice by simulating it. If the simulation reveals that the invoice cannot be posted, it will issue errors and warnings messages to the user. The simulation interface can be accessed by clicking on the Simulate button. The balance of our illustration is zero meaning that there is no discrepancies between the invoice and the purchase order. It is illustrated with the green light indicator next ot the Balance field. To post our invoice, we should click on the Save button that will save our invoice in a document with a number 5200000218. By clicking on the Show PO structure button at this stage, we can see in the left side of our screen that the three-way match procedure has been completed successfully. 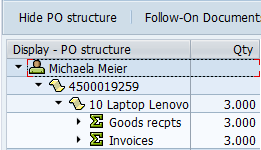 The purchase order 4500019259 provided to the vendor Michaela Meier requesting three Lenovo laptops has been supplied and invoiced to the customer (us). The possibility to post an invoice without referencing a purchase order (though it is typical to do so with reference to a purchase order, a goods receipt or a delivery note). The possibility to park an invoice document by entering it without posting it using the transaction code MIR7 or the path Logistics > Materials Management > Logistics Invoice Verification > Document Entry > Park Invoice (this can be done to postpone posting of the invoice in the case when the balance of the invoice is other than zero). The possibility to post an invoice having a variance that is within the stated tolerance limits which are configured using the path IMG > Materials Management > Logistics Invoice Verification > Invoice Block > Set Tolerance Limits. The possibility to block invoices. 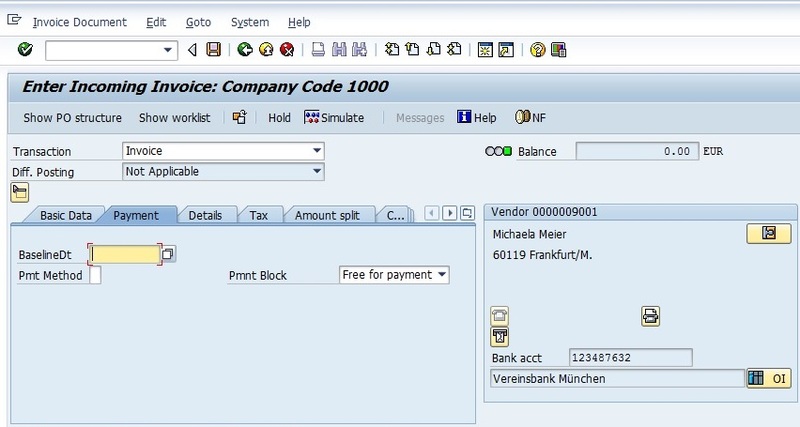 The possibility to release blocked invoice by deleting all the blocks that no longer apply to the invoices selected by the user. Invoices can be released using the transaction code MRBR or the path Logistics > Materials Management > Logistics Invoice Verification > Further Processing > Release Blocked Invoice. Very nice document. Keep it up guys. Really helpful for someone who is new to module and knows SAP. Thanks for sharing this document. 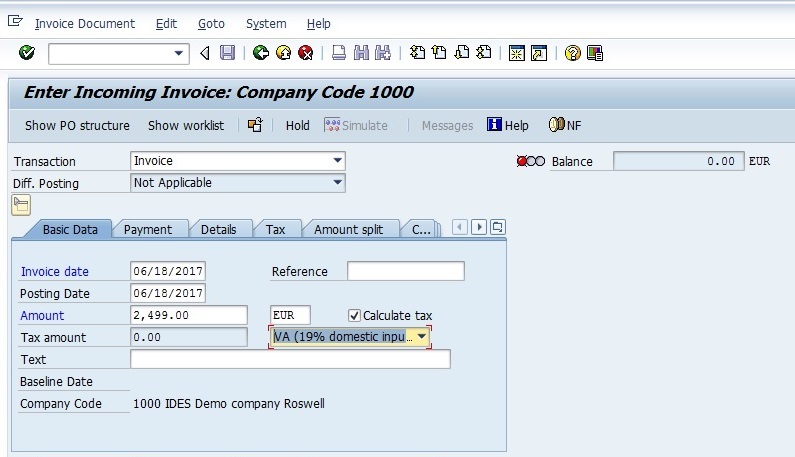 I have seen many videos & tutorials regarding MIRO, can you please tell where does the invoice number come into play? No one seems to care about recording the invoice number any where or any stage, am i missing something? Please explain where do you record the all important invoice number. 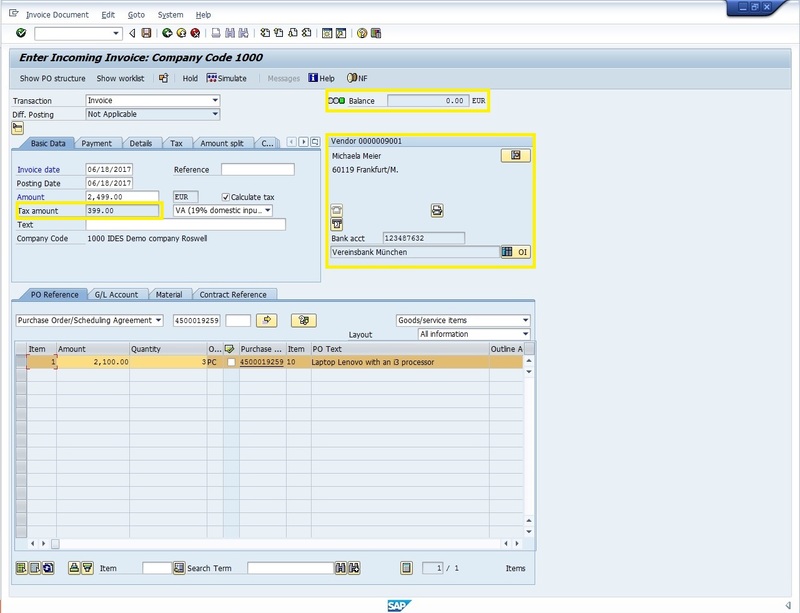 Invoice number is automatically generated and saved by SAP system after you post your input in MIRO. Thank you very much for your appreciation sandeep. 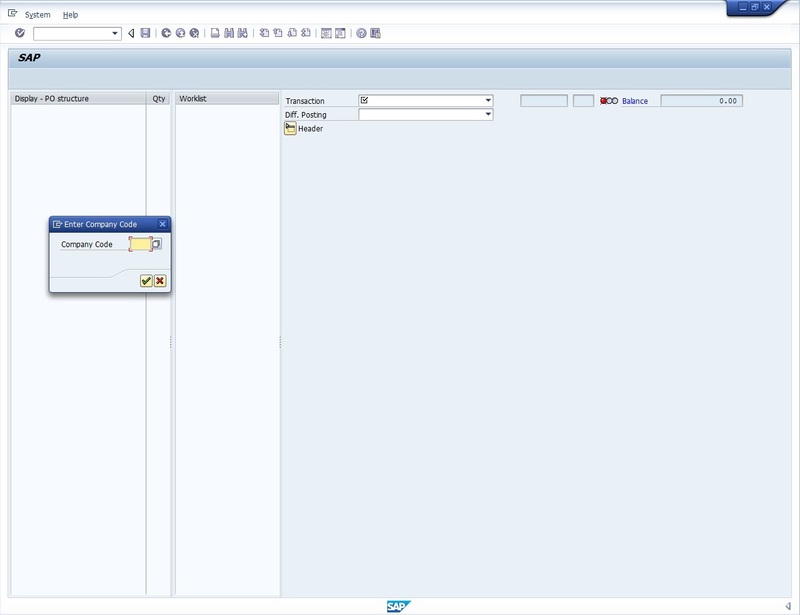 How to create STO AND FPO IN SAP?